I have a confession to make. I spent most of January 1st, 2014 in tears. I'm a New Years lover. It is absolutely my favorite holiday because I feel like everyone is on my same page - showing the same amount of freakish interest in goals and planning that I do year round. Somewhere along the line, people starting asking me about how I handled New Years stuff and somewhere along the line, I started loving encouraging others about it. But if you read yesterday's post, you know that I also began 2014 with a huge problem of carrying peoples burdens, instead of just caring for them. Thus, I spent most of January 1st, 2014 in tears because I was so overwhelmed with all the dreams, goals, and plans of my friends. Mostly happy and excited for them, but also feeling completely stretched thin with no margin to dream for myself. So in reality - I don't think I have a lot of special knowledge when it comes to planning and goals, just a huge interest. I also have a sweet spiritual heritage because my Mama is the most intentional planner and dreamer. She has always treated birthdays and New Years as so sacred for hearing from the Lord and acting on what she hears. All that being said, when the texts and emails started coming in this week asking what and how I'm setting goals and planning for the New Year, I thought I'd compile a blog post! Here's what works for me and how I'm planning to to move forward into 2015. 1. Celebrate Well. Even though this first step is about 2014, I think it's genuinely important. If you haven't yet, take some time to look back and celebrate what happened. Sometimes you have to look hard for the fruit, but it's there. Ask Him for eyes to see. 2. I'm thinking through themes. Last was one of the first times I started to genuinely think through what was a goal and what wasn't. Sometimes there are shifts we want to see in our life, but they're not exactly goals. Goals are actionable and measurable - meaning you can do something about them and you can look back and see where you've grown. For example - "Seek Wisdom" isn't a goal but "Read 15 Books This Year" is. BUT! I think themes are important and generally easy to find. The question to ask yourself is - How would you like to describe 2015 when it's over. Or even better - Lord, what would you like the themes of my year to be? Some people do a "word of the year" but I'm too verbose for that, but I'd say a theme is similar. I'm also way too much of a thinker to have just one. So maybe you have a word, a phrase, maybe you have 5 words or 3 phrases. I'm going to blog through my themes later, but you can see a sneak peek here on my pinterest board. 3. On that note, a pinterest board is a great way to cast vision for your year. It can be inspirational, it can be aspirational, it can be tactical and logical. But putting together a visual representation of what you want your year to look like is an amazing way to get your juices flowing. Here is mine from 2014 and 2015. 4. Take some time. My favorite pastor (aka my husband) suggests a minimum of three hours, but I honestly think if it's in your ability - an overnight trip or two full days isn't too much. Since he carries a LOT and this is a big year for our family, I did a little research and found him a great deal on a beach condo in our town where he stayed for two nights. He ended up coming home for a family emergency for a few hours, but still got two solid days of prayer and planning in. I will get Friday morning and some of the afternoon. Take what you can get. Switch with another mom for childcare or ASK YOUR HUSBAND. I find very few husbands really turn their wives down when they say - I could use a few hours to pray and plan for 2015 to be as healthy and vibrant as possible. 5. Powersheets, powersheets, powersheets. When it comes to setting goals or casting vision, there is not much I can suggest outside of powersheets. Powersheets are a tool that my dear friend Lara Casey created to help women plan and make what matters happen. Any advice I'd give or questions I'd ask to help someone think through goals and planning, I gleaned from the powersheets. If you haven't got a set yet - go grab some! They're a $35 investment that will pay off in more ways than you can imagine. They last for 6 months and they're perfect for ALL women, not just business women or creatives. Self Care - What's the best schedule for taking care of yourself? When can you exercise and shower? Do you want to save up for a massage or a special haircut? Do you want to plan to not buy any clothes for a certain amount of time or buy one thing a month? When will you take vitamins if you take them? When do you need to schedule doctors appointments or check-ups? When will you read the Bible and get time alone? Moms - when are your busy seasons going to be? When are family birthdays? When would you like to go on vacation? When do you want to spring clean or purge toys? When and how often do you want to spend one on one time with kids? When do you want to date your husband to keep your marriage fresh? What kind of devotional might you want to do with the kids? Business Ladies - When are your busy seasons? When do you need to be creating new products? When might you want to hire and train someone? What times of year do you want to have sales? What people or organizations might you want to partner with? Do you want to go to any conferences or learning experiences? 7. Keep Looking + Keep Going The most important part of setting goals and planning isn't setting goals and planning. It's getting to execute them! Here's what I've learned to help keep going. A - Share them. 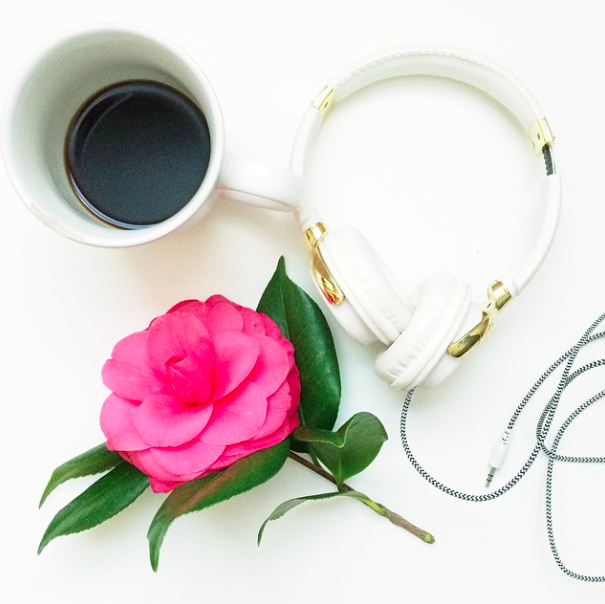 Have coffee with a friend, blog about your goals, share them with your husband. Especially the audacious ones. Invite accountability and it will be good for your heart to be brave, as well as allow others to cheer you on. B - Keep Looking. One of my daily goals is to open my power sheets binder every single day. When I look every single day, I'm reminded of what it is I'm running after and more importantly WHY. C - Keep Going. Go ahead and assume that you're going to mess up on some of your goals. Not because you're a loser, but because you're a human. If you assume you'll do it perfectly - you'll be so let down. Assume you're going to need to try and try and try again. Keep going. Keep trying. It's worth it. Ok woosh! That was a TON of information. If you have questions, ask them in the comments! I'm going to spend time the next few days answering them. Also - check out my #thosewhodream2015 posts on instagram - I'm sharing lots of little bits of encouragements regarding planning + goals there as well. Also, LAST THING! My amazing friend Lara not only made the Powersheets that I swear by, but her book comes out today as well! I cannot suggest it enough as an amazing New Years read! Grab a copy here!